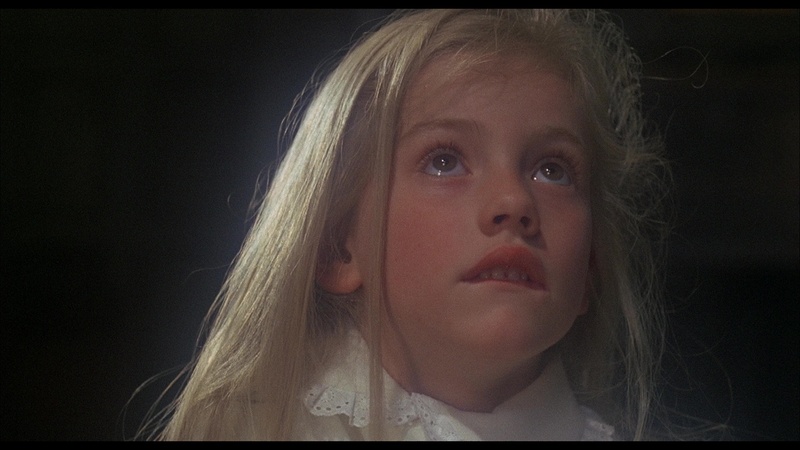 Color, 1971, 101 mins. 25 secs. 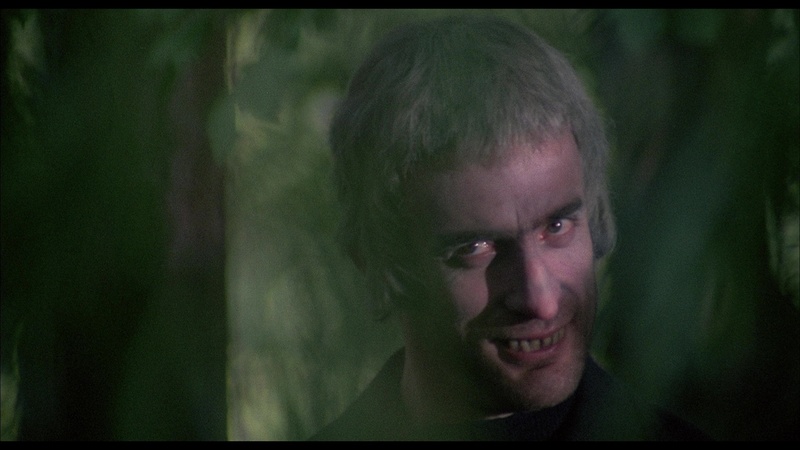 After a three-year break following its successful Dr. Terror's House of Horrors and Torture Garden, Amicus Productions decided to return to its tried and true horror anthology formula in the '70s with a new offering: The House That Dripped Blood. Once again writer Robert Bloch was enlisted to adapt his own stories (more or less), this time a chilling quartet centered more or less around a piece of English property that seems to be the focus for horrific occurrences. The framing story this time involves a Scotland Yard inspector (Bennett) brought in to unravel the mystery of vanished movie star Paul Henderson (erstwhile Doctor Who Pertwee). His investigation takes him from the local police to the real estate agent (Bryans) who recently rented the actor a local house, whose dark history unfolds in a string of stories. First in "Framework," horror writer Charles Hillyer (Elliott) becomes convinced that the villain of his latest novel, a leering maniac named Dominic, is actually alive and posing a threat to both himself and his wife, Alice (Dunham). At first the story seems to be heading in a very Secret Window direction, but... then it definitely doesn't. 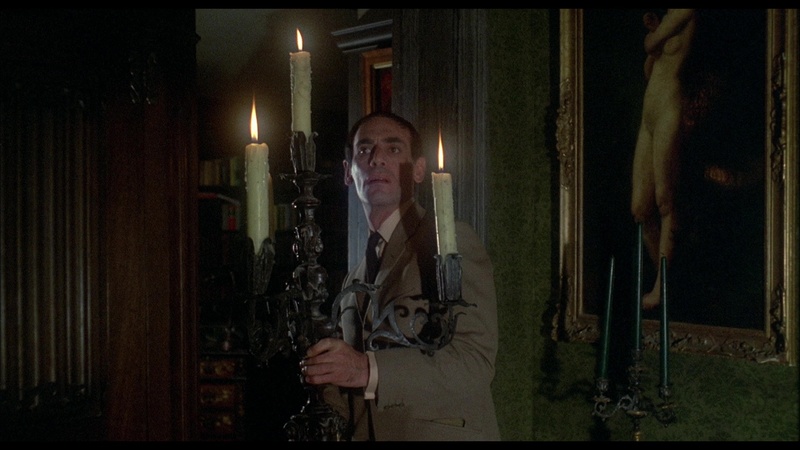 In "Waxworks," retired Philip (Cushing) wanders one afternoon into a wax exhibit where he becomes fixated on a beautiful figure of Salome displaying the head of John the Baptist. 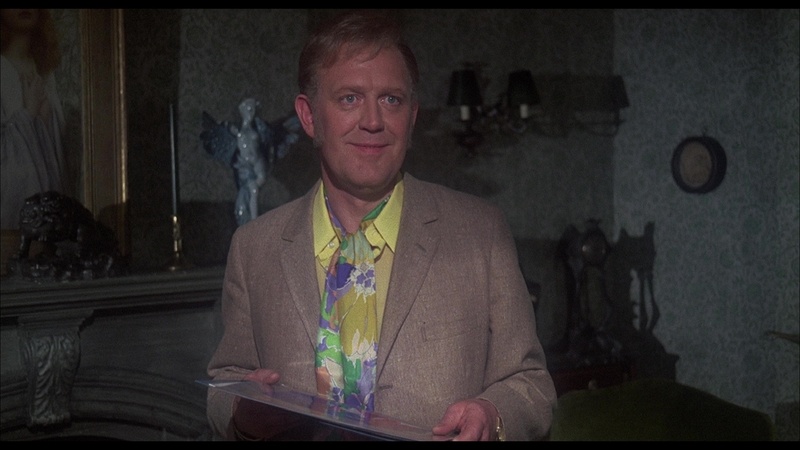 He finds that his friend Neville (Ackland) shares the same fascination for personal reasons, and soon nightmarish visions seem to foretell a horrifying fate should they continue their obsession. Witchcraft takes center stage in "Sweets to the Sweet" as domineering single father John (Lee) seems to be far too strict with his innocent young daughter, Jane (Franks, who made a memorable return in Amicus' Tales from the Crypt); her teacher Ann (Porter) can't understand why the girl isn't even allowed near matches or dolls -- but any horror viewer should have a clue. Finally, the tale of the missing Paul Henderson arrives as we find out in "The Cloak" how his diva-ish behavior while shooting a vampire film called Curse of the Bloodsuckers comes to bite him in the, well, you know when he picks up an ancient prop for his role and ends up in a different kind of role with his leading lady, Carla (The Vampire Lovers' Pitt). As with the previous two Amicus films, this one is not particularly violent (which would change significantly with the company's next two E.C. Comics-derived anthologies); it's the kind of spooky treat you can show to most ages to get them hooked on horror films without any major fallout afterwards. Nope, there isn't even a single bit of blood in it, dripping or otherwise! The film instead functions as a nice showcase for Cushing and Lee as usual, but it's also great to see surprisingly casting choices like Pertwee and Pitt strutting their stuff here as well and clearly having a blast. Elliott does his befuddled routine well here as well, setting the stage for his later roles in Vault of Horror and the superior Hammer House of Horror episode "Rude Awakening." Whether this is the best of the omnibus films is of course still up for debate given the very high quality of all of them, but (apart from the forgettable framing device) it's easily one of the most consistent with all of the stories featuring catchy little plots and fun stinger endings without a single one overstaying its welcome. The third one may be the strongest of the batch, but the rest are nothing to disregard either. No wonder it's been such a fan favorite over the decades. 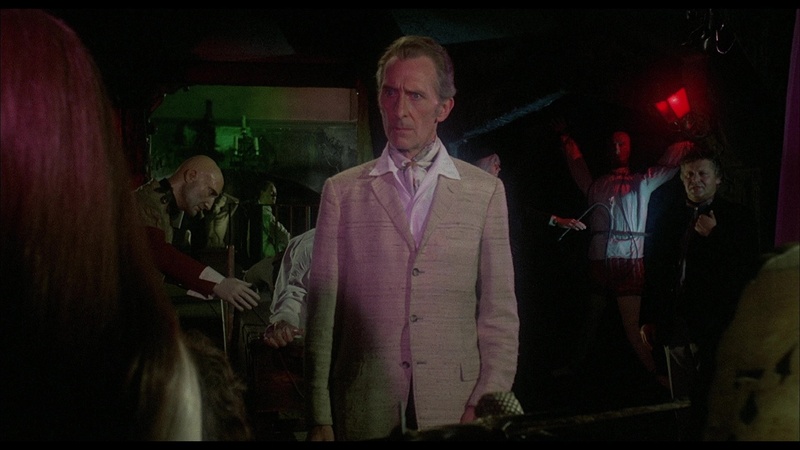 The rights history of The House That Dripped Blood has been a little confusing since its original theatrical release from Cinerama (whose poster art spoils the endings of three stories at once!) and VHS edition in America from Prism. After that it seemed to lurch from label to label, sometimes announced but never coming out and only sometimes getting a good transfer. The first DVDs popped up in 2003 a few months apart, with Anchor Bay's UK edition (standalone or part of a five-film Amicus collection) besting the US one from Lionsgate by virtue of its solid extras including a very cheerful audio commentary with (now deceased) director Peter Duffell and moderator Jonathan Rigby, which goes into great detail about the process of Bloch's scripting and alterations made after the fact, fun bits of trivia (Elliott was wearing Duffell's cardigan, for starters), and his friendship with Lee, who was also a great admirer of a director whose name never caught on with the public at large. 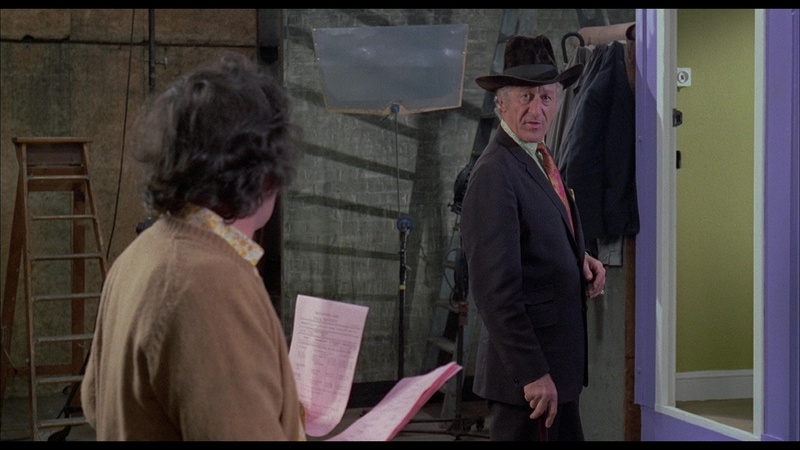 Also noteworthy is the featurette "A-Rated Horror Film" (17m3s), which features Duffell, Pitt, Franks, and Geoffrey Blaydon (seen here in "The Cloak" and later a scene stealer in Amicus's Asylum) looking back at the film as both a Bloch showcase and a worthy entry in the esteemed heritage of British horror, with everything from Gothic props to monster movie conventions playing a role in its execution. The fact that everyone in the featurette besides Fanks is no longer with us now gives it an extra layer of poignancy as well. Meanwhile the American DVD contained an interview with Amicus co-head Max J. Rosenberg and a TV spot, so die hards might want to hang on that one for the sake of completeness. A subsequent American reissue from Henstooth contains no supplements at all. The exact fate of the film since then became very muddy, with Lionsgate retaining streaming video rights as of this writing and other companies going after it over the years for physical media. At last a Blu-ray materialized in 2018 from Scream Factory, sporting an HD presentation that easily surpasses the very outdated 2003 one and the revised, cleaned-up reissue from Henstooth by a very wide distance. Darker scenes are much more nuanced and atmospheric now while very fine film grain is now in evidence which also brings out some nice textures throughout, especially the "Waxworks" story which really makes the most of its ghoulish props and stylized lighting. The DTS-HD MA English mono track is obviously limited by a fairly basic sound mix but does a nice job of handling the effective Michael Dress score. Both the prior Duffell / Rigby commentary and the "A-List Horror Film" featurette have been carried over here, and you also get two theatrical trailers (the usual English-language one and a livelier Spanish one), a healthy assortment of radio spots (3m28s) that repeatedly refer to the title house by the wrong name, an extensive gallery of stills and poster art (5m4s), and a colorful helping of additional Amicus radio spots (14m8s) accompanied by numerous stills relevant to each title. Focused on the '70s era, it's a nice grab bag including favorites like At the Earth's Core, From Beyond the Grave (the one horror anthology holdout left for Blu-ray), Scream and Scream Again, Madhouse, The Beast Must Die, The Land That Time Forgot, The Mind of Mr. Soames, and Vault of Horror, among others. However, the really substantial new bonuses here can be found in a video interview with second assistant director Mike Higgins (9m29s), who shares some of his memories from the shoot including a funny bit about "the lady in the red hat," and a substantial, nicely paced audio commentary by Troy Howarth. 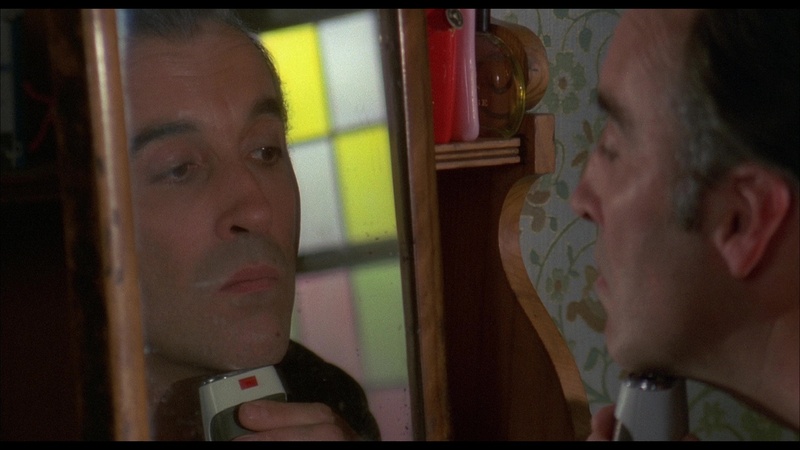 He manages to pack a lot of information and observation into each quarter of the film, from pointing out something unusual about Elliott's hand (which is impossible to unsee once you notice it) to bemoaning the budget-impaired wax heads and exploring the careers of Lee and Cushing around the time of this film. 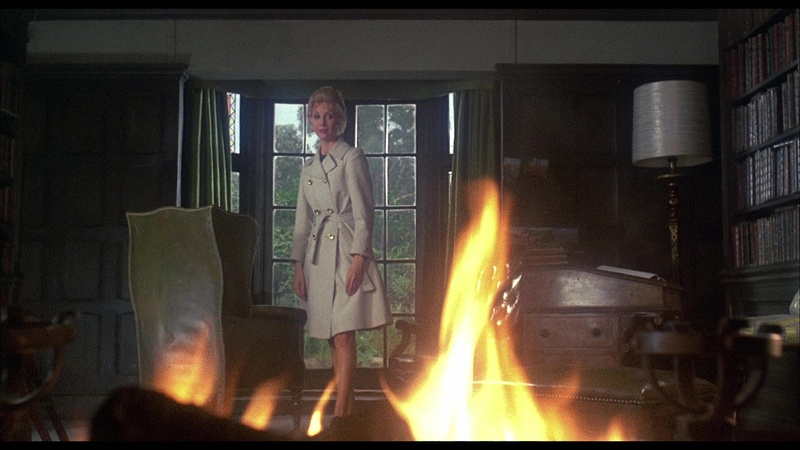 He also touches on the Hammer / Amicus rivalry, extols the virtues of the score (which, yes, desperately needs a soundtrack release), and debunks a rumor about Joanna Lumley. All in all, the whole release manages to increase one's appreciation for a top rate horror anthology from the name that did it better than anyone else.